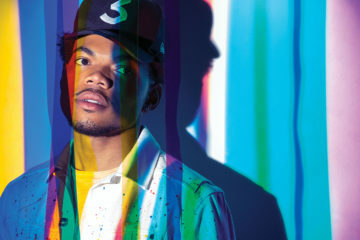 Chance The Rapper just surprise attacked us with four new tracks. This is undoubtedly the best track of the bunch – it sees the Chicago rapper getting political whilst delivering playful bars like ‘They think they Heath Ledger scary, they just Jack Nichols’. The backing sample used throughout the song is both pretty and hilarious – somehow I don’t think they’ll be able to make a radio-friendly version. This new smooth summer jam from soul band The Internet is deliciously funky with it’s wah-soaked guitars and groovy bass playing (it sounds very Jamiroquai-inspired). Syd’s breathy vocals are as heavenly as ever, although I’m not sure why she screams ‘Bridge’ like Pharrell at the end of the track (isn’t the bridge the bit between the verse and chorus). ‘Everything’ is one of those rare EDM songs that can remain intense through its build-up and still serve up a satisfying pay-off. Moody bass and melancholy vocal sampling opens up the song and the whole song gets busy quickly, but then at the one minute mark the tone shifts as it hurtles into a euphoric Rustie-like trap section. Kaizen continues to be incredibly dynamic. I don’t think I’ve ever heard production quite like this. Shimmering synth arpeggios and walking 808 basslines provide a bouncy cartoonish backdrop that’s like some combination of Panda Bear, N.E.R.D and Gorillaz. It pairs well with Joseph Tyler’s jubilant lyrics about defying wasted youth. Former-noise-rockers-turned-avant-garde-funk-band Guerilla Toss released a phenomenal album last year titled GT Ultra. It seems that they’re already thinking about dropping a follow-up, serving up this groovy extravaganza with a weather channel themed video. The whole instrumental creatively pitch shifts up at the end and there are more synths than ever – I’m expecting more electronica from their new release. The psychedelic experimentalists have gone back to their droney sound and if I’m honest it’s a bit dull. The vocals also have a cheap mic quality that I’m sure is intentional, but it just doesn’t work for me.